1. You’ve been in Uruguay for a few months now – can you tell us about the project you’re managing? 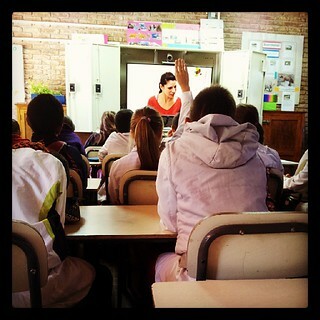 Ceibal en Ingles (Ceibal English) is a project the British Council won after a tender was issued by Plan Ceibal for English language teaching via video-conferencing in Primary schools in Uruguay. You will have heard of Plan Ceibal as the organisation that has succeeded in the OLPC initiative. It started five years ago, and now each state school child in the country has received a laptop. With English, however, there aren’t enough qualified and experienced English teachers to be able to offer primary children classes, and although in the long-run the solution will be to increase the English level of the existing primary school teachers (something which we are also involved in as part of the project), the short to medium term solution is to offer the children English classes via telepresence solution using remote teachers from Montevideo, Argentina, Colombia, Mexico and the Philippines to teach the classes in tandem with the children’s regular classroom teachers. 2. A lot of people probably associate this tool (VC) with business meetings. When you talk about video-conferencing in the classroom, what do you actually mean? Yes, nowadays, people either associate VC with low quality, low bandwidth tools such as Skype which work more or less well on most computers and with an internet connection…or with the higher quality video conference suite equipment, that as you mention, is most associated with international business. The latter, using fibre optic lines and high quality equipment is what is used in this project. The reasons for this are many. One factor is reliability. With a classroom teacher and 25+ kids waiting for a weekly lesson, we need to know that when a remote teacher connects it is going to work, and with this equipment you can 95% (or more) guarantee it is going to work. You wouldn’t be able to offer a similar guarantee with something like Skype. Another factor is quality of image. With this equipment the remote teacher (or RT as we call them) can see details of the children (and can also zoom into specific kids, etc) and so it becomes easier for them to learn their names and recognise them. The high quality also means that on the other end of the line, in the classroom the image is so sharp on the big screen that it is as close as possible to actually having the RT in the classroom, which makes a big difference for the kids. It is hard to appreciate how important this is without actually going and observing a class in progress. 3. I’m sure there have been ups and downs. What’s worked well so far? Yes, of course. After a successful pilot that showed it was possible and which also proved the children were learning, we are now teaching almost 1000 classes a week (reaching around 25,000 children). This will double to 2,000 classes in 2014 and more than double again in 2015 to 4,500 groups (around 120,000 students). The best part of the project for me has been the response. Classroom teachers volunteer to join the programme and there has so far been no shortage of teachers volunteering. This is despite the extra effort and time these teachers need to have in order for the project to work well. The classroom teachers (or CTs as we call them) have to spend extra time coordinating with their RTs and are also learning English themselves, which enables them to understand the classes and also to do the follow-up practice lessons that have been built into the programme so that the kids have enough English to get them from a CEF level of A0 to one approaching A2 (we hope) after three years of classes.The reaction of the kids has also been heart-warming – English classes, once the privilege of a few who could afford to pay for private classes are now being given to primary children all over the country, many of whom live in difficult circumstances. It is a real game-changer as far as helping to level the playing field and provide equal educational opportunities to all. 4. And anything that’s not worked so well? We are learning all of the time and changing things to help improve the teaching and learning. One thing we have discovered is the importance of coordination between the CT (local primary classroom teacher) and the RT (remote teacher). In order to avoid transmission teaching (i.e. the “teacher on the telly” syndrome) the CT & RT need to work closely together, to talk about out what is going to happen in the remote class and follow up classes. Originally we were hoping that all teachers would be able to do this synchronously (e.g. using Skype) but because of time differences, busy schedules, and other reasons, most of this coordination is by necessity being done using email. For this to work well, there needs to be a flow of 4-5 emails between the two teachers. The majority of the problems we have experienced have been due to a lack of rapport between the CT & RT and because both have not been able to do the necessary lesson coordination. 5. I can imagine it changes the dynamic somewhat having a CT and a RT present in classes… does it have a significant impact on the pedagogy too? Yes, it does, and I have been spending a lot of time recently observing classes and taking note of good and not so good practice. Some of what is important is the same with regular YL classes. For instance, the teachers need to establish routines, pace the classes and use a variety of activities, including games and songs. The kids can’t also just be sitting down watching the teacher on TV in the same way that you wouldn’t want a class of children sitting down through a regular YL class. 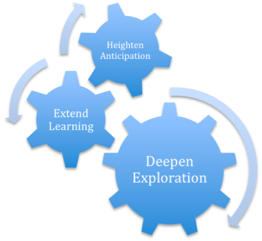 There are some interesting avenues that we still need to explore and which some teachers are already exploring. For instance, and this came up in a discussion during a recent visit by Jeremy Harmer, the fact there is a TV lends itself to adding an aspect of performance to the lessons. The kids can write, rehearse and act out dialogues and other theatrical routines in front of the TV, for example. We have also been discussing the role and amount of L1, which varies enormously depending on the teachers involved. We are recording all of this and developing guidelines which will end up becoming recommendations for any educators involved in this unique type of language teaching be they on this project or any other one that may appear in the future. 6. It must have an effect on the learning opportunities too? E.g. if a learner wants to experiment with language or has a question, how can the RT be there ‘on the spot’ to support? Or is it possible for the RT to give feedback? How have the RTs taken to it? Feedback is something each RT struggles with. I have seen RTs give on-the-spot pronunciation feedback and error correction during classes, so it is possible. More difficult is giving feedback on student writing. We have set up a system of virtual classes using a Learning Management System (LMS) that requires the children to upload their written work using their OLPC laptops and which means the RT can then correct. Other RTs have used blogs or wikis as a way of sharing student work and dealing with correcting writing. We are still working on this as we are not entirely happy with the solutions we have come up with so far. 7. How have the CTs taken to it? Are they taking part in any training? And what about the students? Yes, in general, as the CTs are volunteers, they have shown an incredible amount of passion and commitment to the project and most of them have also started to learn English themselves. There are some primary teachers that have said they are not interested, but I’m happy to say they seem to be in a minority at least at the moment. Our challenge will come as we expand and incorporate what we hope will be all of the primary schools into the programme. The students, as I mentioned earlier have very much taken to it. There has been pressure from students and parents on teachers and schools to sign up and join in the project, which has been nice to see. Training has been built into the project very much as an integral part. Each of the CTs need to attend a 2 day orientation course in Montevideo before they can join the programme. We are also developing a 12 hour supplementary course for CTs that will act as an online reference guide for them after the OC. RTs have a 15 hour self-access online course they need to do before teaching and we recommend that the RTs observe at least two classes before teaching one themselves. Apart from that, the RTs are connected via the LMS and can share their concerns and ideas there via a forum. We also have plans to get some of them together in December in Montevideo for a training day to share good practice. We will record this and make the discussions available to the RTs who cannot attend. 8. What next? Long term programme? Research must be part of it? Lots of countries must be looking on with interest! 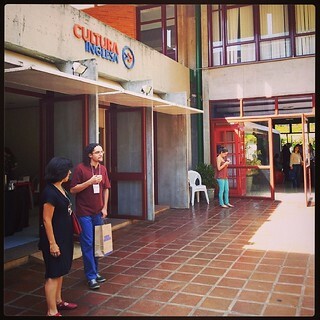 We are developing a model of teaching that has a lot to offer other countries and organisations outside of Uruguay. Research has been built into the project, with regular surveys of RTs and CTs and a lot of data collection being undertaken internally. We have also just finished testing the children and will be repeating this test at the end of the year in order to determine what the impact of the English classes is having. We are giving the test to classes of children not involved in the programme too, so we have a control groups. We have also been approached by different educational bodies in different countries who are looking at what we are doing with a lot of interest and wondering if it could be something they too could implement. This was Kieran's first conference presentation in Brasil. Here on a flying visit (the lack of sleep didn't show! 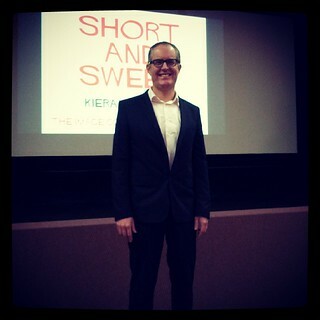 ), Kieran spoken about how best to use short films in the ELT classroom, presenting ideas that he has made popular through his ELTon award winning website, Film English. Kieran thinks that today's Internet culture, has led to more short films these days, and especially the rise in use of mobile deviceshas seen a renaissance in watching short films. For these reasons, the time is ripe to take advantage of this in the classroom. The main reason is that they are short! This means you can show them several times and do different activities with each viewing. You can also show learners a complete narrative, which means it can be more fulfilling for students than showing excerpts of films. The form is also usually innovative and so it is often easy to grab the students attention. Many short films these days are silent. One reason for this is because people are watching them on the move. Another reason is one of audience - they can be enjoyed by an International audience because there is no need to translate dialogue. After his introduction, Kieran got our creative juices working by asking us to think of as many uses of a paper clip that we could think of. This is a test which is connected to creative, lateral thinking. Tests show that as we get older, the number of responses people come up with diminish, which Ken Robinson believes that schools kill creativity. After this, Kieran's First activity related to a video (the adventures of a card board box) showing different uses of a cardboard box as thought of by a young child. Continuing the same theme, the second short film Kieran showed us was 29 Ways to be creative. A good question to ask students after watching this short film is how they are going to be creative in their language learning. Kieran asks students to write an answer to this for homework. 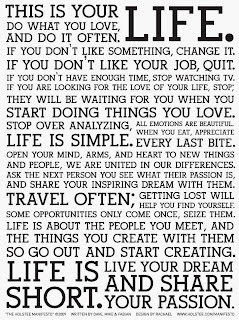 Sharing Jim Jarmusch's manifesto, Kieran then showed us a film called Manifesto, the Holstee Manifesto Lifecycle video, and told the story behind this. 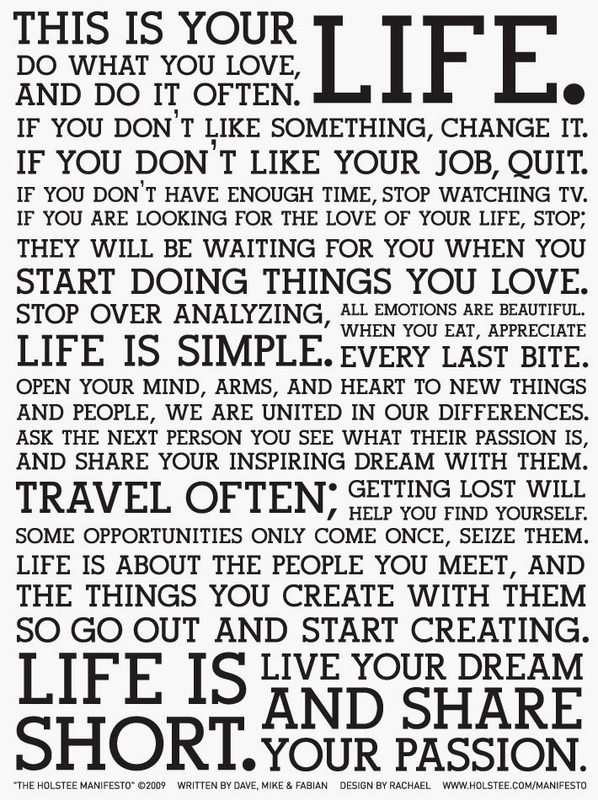 Kieran uses this as a promote to get students to write their own life manifesto, sharing examples written by some of his students. Where would you go if you could visit 11 countries in 44 days? The film, Move shows a person who did this, followed by the vídeos Eat and Learn, produced by the same person. Kieran also uses these films as prompts for writing. Secrets was the next activity, watching a film called Your Secret. He asks students to follow the instructions given in the film .Kieran follows this with a visit to the website Post Secret, asking the students to choose a Secret that resonates with them. He asks them to write about the chosen Secret from the pov of that person. With teenagers, he gives them a selection to choose from as their are inappropriate ones on the website. Kieran finished by sharing sourced of short films, such as Future Shorts, Vimeo, Short of the week, and of course Kieran's own website, http://film-english.com. Carla' session at the Image conference, Brasilia, was all about showing some common sins when designing digital resources and thinking about noticing the power of good design to enhance learning and power up the visuals in the language classroom. Carla Arena is a great believer in design when it comes to every stage of teaching or teacher training, taking care of details such as posters to attract teachers to training sessions. Back in 2005, Carla believed she was a good designer, but now, looking back and sharing with us a presentation that she created that she is now horrified with what she created. Crowding everything onto one slide, using lots of different fonts and animations. She changed to a more simpler approach - one image that can convey meaning is always much better. Using a colour palette is another recommendation. The same kind of reasoning needs to be used when we are creating our slides or creating something for our students. Another factor is the font. Decide on a font and stick to the same font family. Avoid at all costs Cómic Sans! Carla has moved from being greedy to being minimalist. Carla thinks she was too proud and that she could be self-sufficient. She now believes in stealing and recommends creative stealing, as recommended in the book 'Steal like an Artist'. Nobody needs to start with a blanks slate -not here are hundreds of references out there that you can use. She recommends good theft rather than bad theft (see picture below). When you do this, incredible things will happen in your classroom. Carla recommends embracing influences and to use a variety of styles. She also says that writing things down in a notebook is necessary too. Her next sin is sloth. Doing the same things every day makes you bored. We do this often because changes are often uncomfortable, but changes are necessary, especially when you want to create experiences. Steve Jobs, for example was all about designing experiences. He was also known for his presentations, and there is a great book called 'The Presentation Secrets of Steve Jobs' There were 3 acts in his presentations...setting the scene, identifying the enemy and then revealing he experience. Moving onto the Instructional Design part, Carla says that when creating materials for our students, we should think about te rule of three (a pre-activity, activity itself and a post-activity). She believes that if you break this rule, then you don't have flow. Quoting Csikszentmihaly, she said we need to Design activities that promote flow. A trick to learn is how best to transition from the physical to the digital and then back to the physical if you use technology in the classroom. An example she gave that she has used with her students is with a selection of vocabulary. Her First act was to review the words with them. Then they got into groups and they had to write a sentence based on a picture she showed them relations to a word on their list. It is important here to use images that cause emotion. Carla started showing us interesting images and gave us words pulled out of a box at random, asking us to write sentences about the images. She next shared the incubation model (E. Paul Torrence) with us (see left) as something to keep in mind when designing materials and finished by sharing with us her mantra for good learning design. All-in-all, an excellent presentation full of useful advice for teachers, materials developers and presenters. You can't imagine how excited I was about attending this Braz-TESOL event in Brasilia, and so very pleased for Kieran Donaghy to see him here too. The First Image Conference was held earlier this year, in June, in Barcelona. I was first contacted by Kieran, the teacher behind the ELTon award winning Film English site, who asked me to present a the conference in Barcelona back in April, but then a week earlier he called me to say the event would have to be cancelled because his University said they were not prepared to take the financial risk. It was such a shame as Kieran had done 80% of the planning of the conference already: he'd lined up an impressive list of speakers, had arranged for sponsorship from major publishers, presented a preliminary budget, costed the refreshments and meals and talked to people about technical Support, etc.etc. 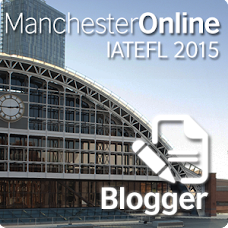 Fortunately, I was able to suggest that the IATEFL LTSIG step in and take on the risk, and so the conference could go ahead. I started to help Kieran with the final planning, but then had to drop out because of my new job in Uruguay. Fortunately, Nicky Hockly stepped in and took over the role and the First Image Conference was able to take place as planned. The event was a great success and many of the sessions were streamed live by the British Council's TeachingEnglish website. After all the work that Kieran put in to make the event happen, and after establishing a format that worked so well and was also very original and innovative, it was only a matter of time before it was going to be held again. 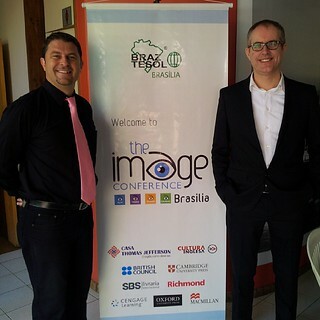 The offer to hold the second conference was proposed by Carla Arena and Graeme Hodgson of Braz-TESOL, who suggested duplicating the format in Brasilia in October. They also managed to find the funds to invite Kieran. The event itself was a great success, with around 130-140 people in attendance, a range of interesting sessions to suit everybody's tastes, and plenty of time to meet and talk to people. Finishing with cocktails, pizza and a VJ in the Cultura Inglesa garden was a perfect way to end the day. It's now clear that the Image Conference is a format that works - where is the next one going to be?